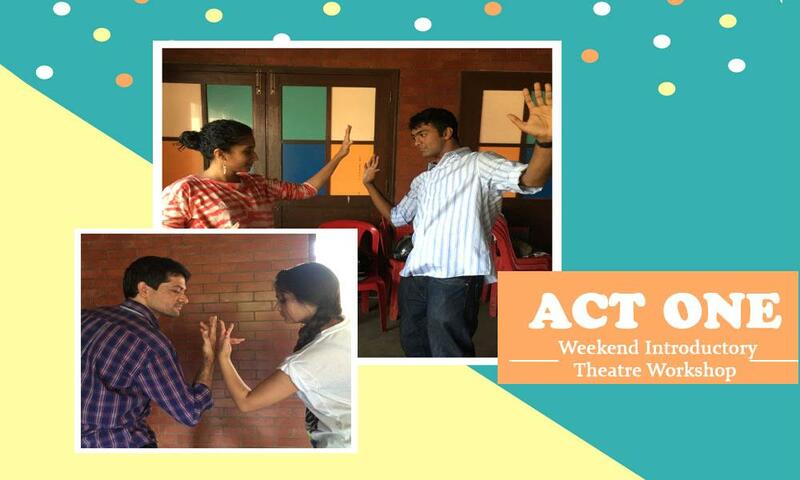 ACT ONE-1, Weekend Beginners' Theatre Workshop will be held at Atta Galatta from 30 & 31 March 2019. The 6th edition of Tahatto's 1-weekend introductory theatre workshop "Act One" will be on 30 & 31 March 2019, which is exploring themselves. Through this event, understanding one's body, finding a voice, discovering confidence, learning to observe, or simply, finding joy. It’s designed around theatre exercises & activities to let individuals get a first-hand experience of theatre. It’s a good opportunity to enhance your awareness and confidence as a public speaker, presenter or performer, this workshop is focused on getting you started, and on the floors. 1. You would like to get past your inhibitions and stage-fear. 2. You would like to explore the basics of performing on stage. 3. You have wanted to get a taste of what it takes to build characters. 4. You would like to boost your confidence and communication skills. The workshop will be held over 1 weekend - Saturday & Sunday. It's an all-day event and open for ages - 17+. It's open for everyone irrespective of experience, interest and food habits. Lunch and Snacks will be provided as part of the workshop. Wear loose and comfortable clothes. Jeans to be strictly avoided. Please ensure you are available for the complete duration of the workshop. There are limited slots! Once registered, there will be no refunds.